Receive online payments with credit and debit cards from your attendees through Chase Paymentech Orbital. Need to Buy a Support License for the Chase Paymentech Orbital Payment Gateway for Event Espresso 4? Download the current version of the Chase Paymentech Orbital payment gateway for Event Espresso 4 from your Event Espresso account. To be certified to use this plugin and to receive production API credentials from Chase, you must complete the certification document Chase provides and submit it to Chase for review. You can do that yourself or contact PluginIdeas.com who offers a Chase Paymentech Certification service. Your credentials for Chase Paymentech Orbital will be provided to you by an account manager at Chase. You’ll let them know you’re using the Orbital gateway (not Authorize.net). 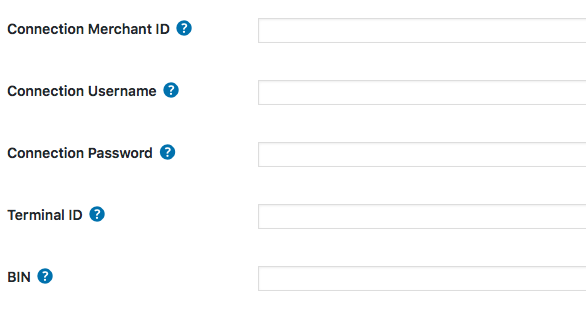 Chase Paymentech Orbital uses a Merchant ID, Username, Password, Terminal ID, and BIN for payment processing. Will Chase Paymentech Orbital be the only payment method enabled or the only one you offer? Click here to learn how to make it selected by default during the registration checkout. An account with Chase Paymentech is needed to accept payments via Chase Paymentech. Login to your WP-admin (WP Dashboard) and go to Event Espresso –> General Settings –> Payment Methods. Once on the Payment Methods screen, click on Chase Paymentech and click on the button to activate the payment method. Merchant ID – This credential is needed to process payments and is provided to you when your merchant account is set up. Username – This credential is needed to process payments and is provided to you when your merchant account is set up. Password – This credential is needed to process payments and is provided to you when your merchant account is set up. Terminal ID – This credential is needed to process payments and is provided to you when your merchant account is set up. BIN – This credential is needed to process payments and is provided to you when your merchant account is set up. The Chase Paymentech Orbital payment gateway will let you accept payments through major credit or debit cards. The XML API from Chase Paymentech Orbital is used which means that your registrants/attendees will pay for their registrations on your website. I configured Chase Paymentech Orbital and payments are not being processed. Can you help? Double-check that you are using your API credentials for production (live) mode. Also, ensure that there is no extra spacing before or after the credentials in the payment methods screen of Event Espresso 4. How can I set up a recurring payment or subscription through Chase Paymentech Orbital? Recurring or subscription payments are not currently supported in the Chase Paymentech Orbital payment gateway. 2) Then login to your Chase Paymentech merchant account and process the refund. View more information on PCI compliance from Chase Paymentech Orbital.